Motivcom has seen a 30% decrease in profit before tax to the end of June 2012, in its interim results filed today. 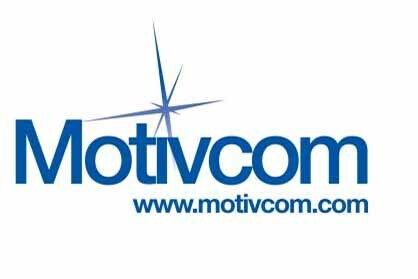 Motivcom’s interim results filed at the London Stock Exchange today (26 September) show that gross profit was down slightly to £13,885,000 to the end of June, compared to £14,148,000 over the same period in 2011. Profit before tax decreased by 30% to £897,000, from £1,284,000 in 2011. However, the full year is expected to show growth overall, as work from the group’s Olympics and Ryder Cup activity will garner income in the second half of the year. Motivcom divisional managing director Nigel Cooper told C&IT that half year results can "fluctuate as much as 50%, depending on the time of year that activity is taking place". "This year, in the second half we have the Olympics, Paralympics and Ryder Cup, as well as congresses and major product launches," said Cooper. "There is a wealth of activity taking place in September and October, and at P&MM we have never been as busy for international business. Clients held back over the summer. "In terms of the Olympics, we placed £5m of accommodation through Zibrant, but although it was contracted in 2011, we are not allowed to take the income into our figures until the second half, as it took place from 27 July." Despite the slow start to the year, Stock Exchange analyst Numis Securities has predicted that Motivcom will grow 10% in net operating profit for the full year. Motivcom is legally restricted in forecasting full year growth itself, but must publicly report to the Stock Exchange if the analyst’s figures are inaccurate. The business – which includes agencies Zibrant, P&MM and AYMTM – has carried out conferences for around 13,000 delegates in Budapest and Stockholm this month, for client Kyani. Meanwhile, a six-week global car launch will take place in October. Motivcom chairman Colin Lloyd added that on the events side of the business, individual clients had been "reducing their activity by curtailing the frequency or number of delegates". "Event management and live production have seen similar trends with client budgetary pressures reducing the numbers of delegates and average spend per head," said Lloyd. "However, we have seen new business wins from international accounts which will replace revenue and sustain the business in 2013." Motivcom will file its full audited annual accounts for the year ending 31 December in March 2013. Total turnover to the end of 2011 was £106m, of which events-based turnover was £64m.